This is a question we get often, especially from new beaders who have just been their first bead show. 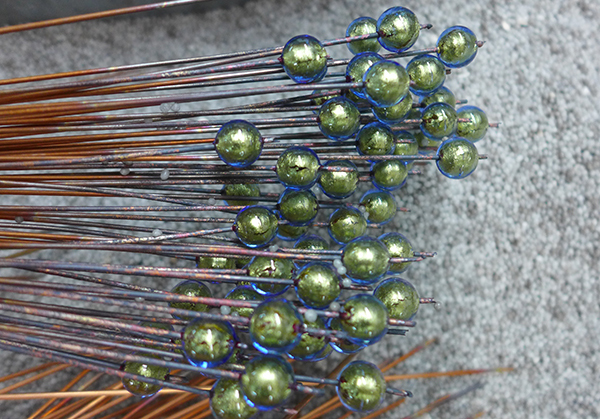 Are all Venetian Beads are annealed. She had heard that annealing makes the beads stronger. 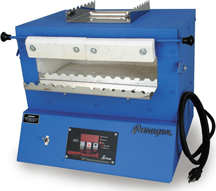 What is annealing? The word comes from the metallurgy and materials science where it has long been recognized it increases the metals ductility and makes it more workable to heat above its critical temperature and then to cool which also relieves the internal stress of the metal. 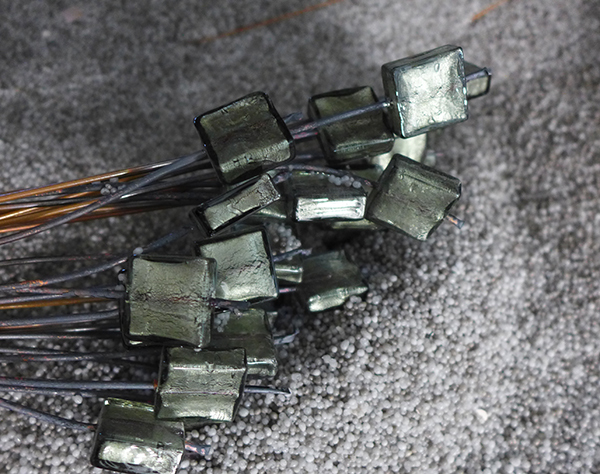 In glass, it is about mainting the glass at a constant temperature, known as soaking at the annealing point where the glass is too cold to continue working, but will continue to relax, so that the entire piece can gradually cool at the same rate. If the glass were left in the open, you can easily see that the outside would cool faster than the inside. 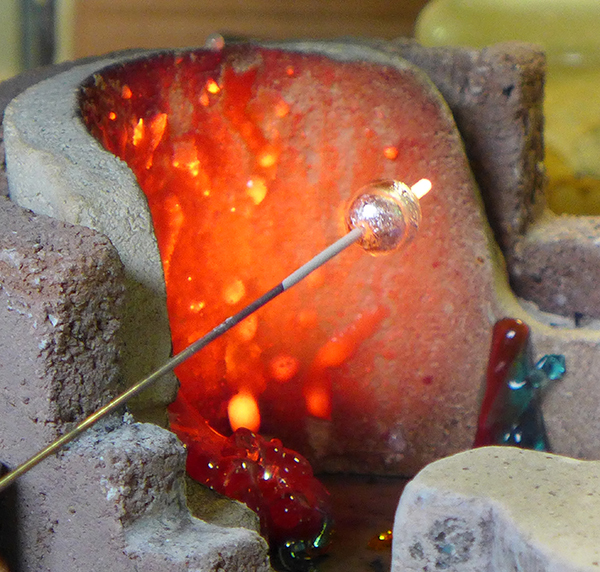 Annealing keeps the temperature constant throughout the bead. Above is a large muffola in a production furnace. Each piece of blown glass is placed in an oven which is temperature controlled to be sure all the glass is the same temperature and then to cool the mouth blown pieces slowly. In older days before temperature control and when they still used wood for the heating, the person who was in charge of this was called “uomo di notte” and his job was to stay all night and watch the process as well as prepare the glass for the next days work. 2) slowly cooled the bead in a container of silica which helps hold the temperature. In older days, the Venetians used the sand from the lagoon which is called “fango” in Italian and was also used for the “bead release”. Today the world uses vermiculite for this process. Vermiculite is a mineral similar to mica which is fire proof. The stresses set up in the bead have a lot to do with the amount of time it takes to make the bead, the decorations, etc and frankly the skill level of the bead maker. In our small beads, they are made rather quickly and there is very little value of annealing other than by use of the vermiculite. You can see the beads still on the mandrels and they are submerged into the vermiculite during the production day. 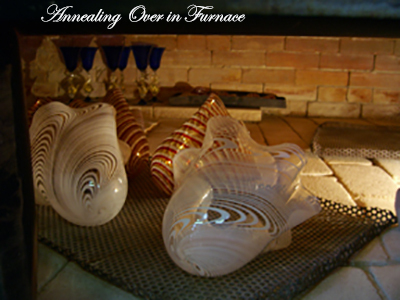 For our larger, obviously more complex beads we do use an annealing oven – called a muffola in Italian. For our Moretti glass, the annealing temperature is about 940F and it is important to keep them at this level and then bring down gradually. 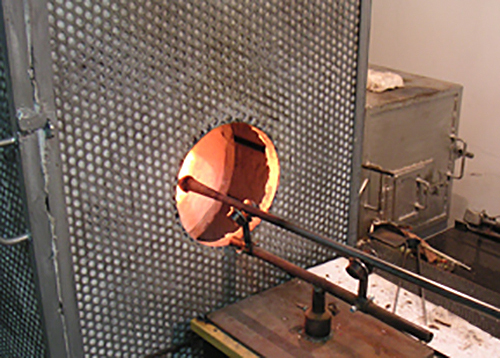 For our blown beads they are all annealed, here you see the small kiln beside the furnace. 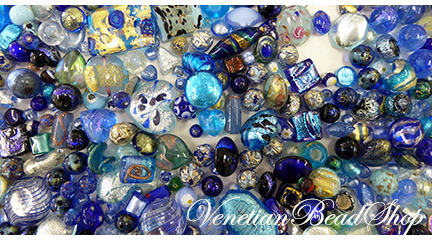 Regardless of how beads are annealed, each of our beads are annealed, most in the classic Venetian method. And below you see a tray of Venetian Beads ready to make jewelry. ← What Sizes are the Holes in Murano Glass Beads?